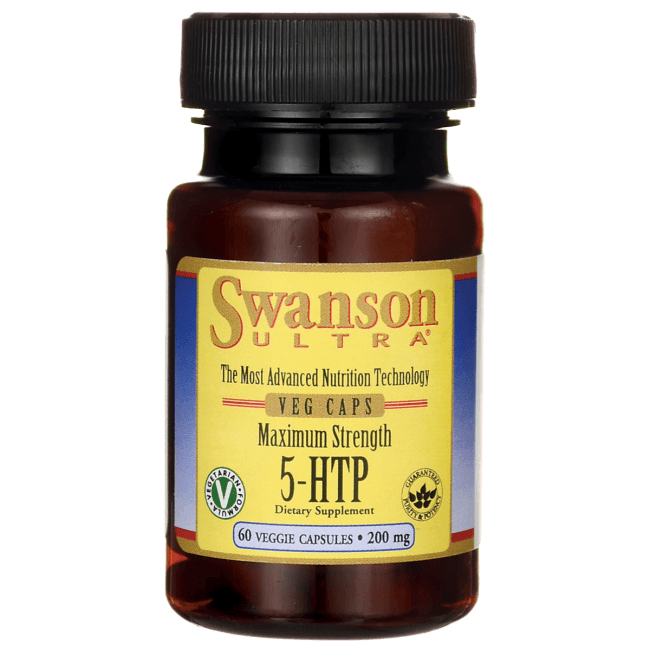 When your spirits are sagging, brighten your outlook naturally with Maximum Strength 5-HTP from Swanson Ultra. A naturally occurring amino acid extracted from the seeds of the African herb Griffonia simplicifolia, 5-HTP (5- hydroxytryptophan) serves as a precursor to serotonin, a neurotransmitter that helps regular mood and sleep patterns. Our maximum-strength veggie capsules are a safe, effective way to reset your sleep schedule and enhance your emotional well-being. Rice flour, gelatin, may contain one or both of the following: magnesium stearate, silica. As a dietary supplement, take one capsule per day with water on an empty stomach.